There’s something pretty magical about our sense of smell. Have you ever caught a whiff of someone or something and immediately have it trigger an emotional response? It is true that certain fragrances are known to have an influence on our behavior, mood, self-confidence, stress levels, and even our cognitive performance. I am currently loving Melissa Allen Mood Essentials unisex range of fragrances. They’re basically designed to improve our daily lives, made for those who are after a different approach to perfume or cologne. Not only do they smell absolutely amazing but they will also help you feel oh so great! 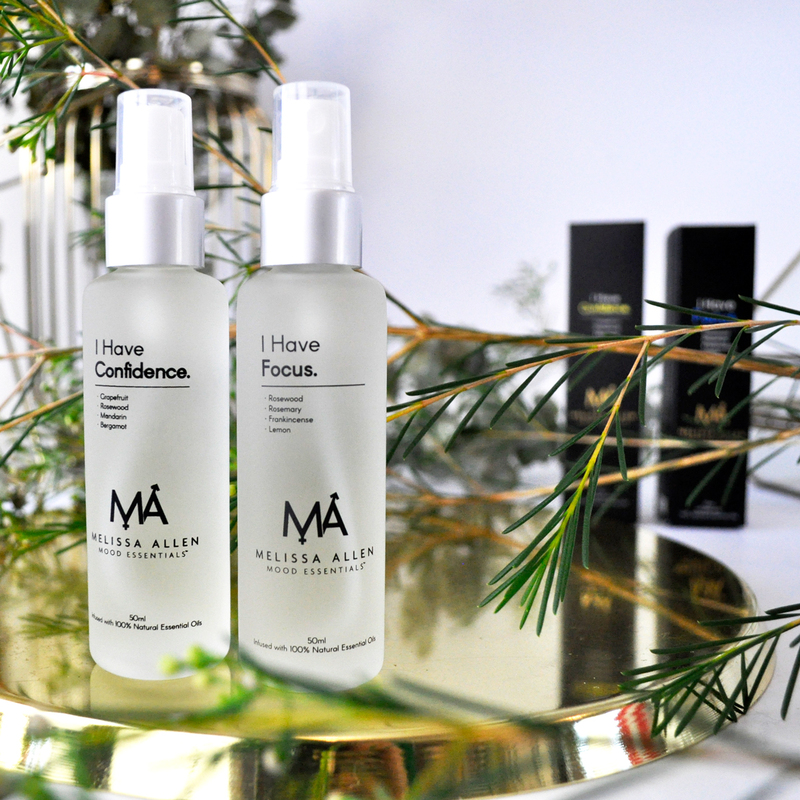 I have focus and I have confidence are two uplifting aromas infused with a selection of 100% pure essential oils. These captivating fragrances settle beautifully on the skin, helping keep our bodies toxin-free and smelling fresh all day. This rich and invigorating fragrance is designed to boost clarity, productivity and concentration. 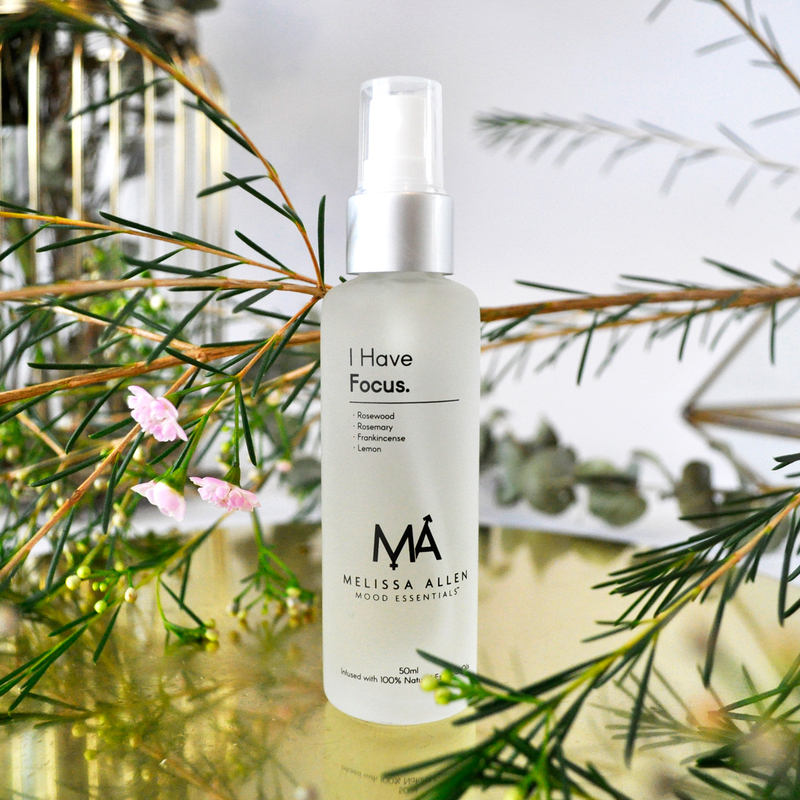 I like to spritz a bit on in the morning on days where I need a little help staying focused and increasing my productivity. I find it assists in clearing my mind and allows me to concentrate on tasks at hand. This earthy and grounding scent is infused with a combination of 8 natural essential oils including rosewood, rosemary, frankincense and lemon. This refreshing fragrance is the perfect pick me up for any day of the week. It makes me feel like I can take on the world with positivity, mental strength and courage. Funny how fragrances can boost our confidence in that way. This clean fresh fragrance is made with a creative blend of 21 natural essential oils including grapefruit, rosewood, mandarin and & bergamot. I’m looking forward to trying more scents from the Melissa Allen Mood Essentials range. I’ve got my eye on you I Have Calm and I Have Joy! Inhale confidence and exhale doubt! 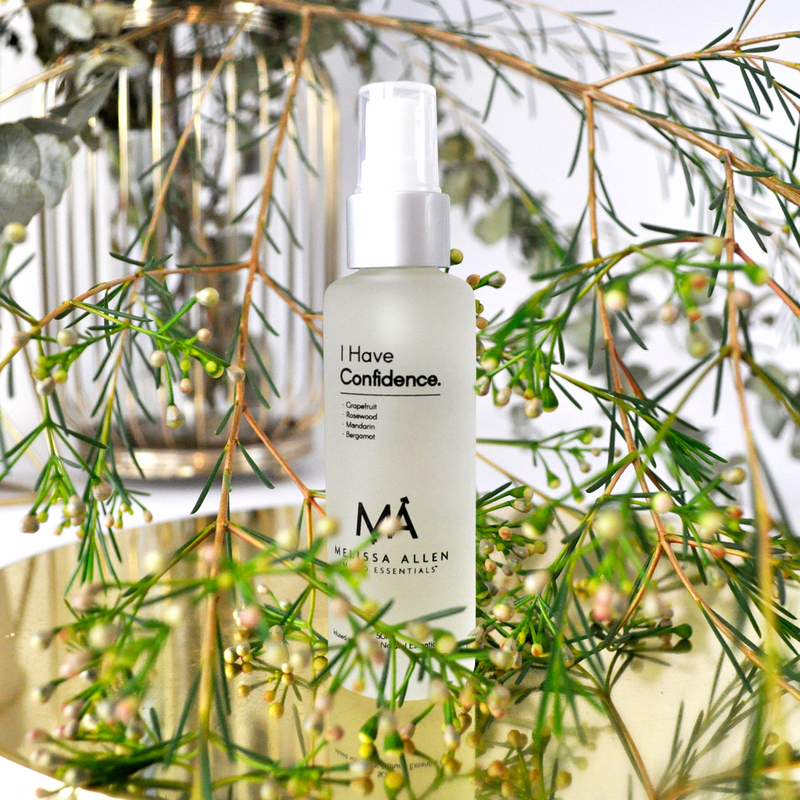 All of Melissa Allen Mood Essentials are 100% natural fragrances and cruelty-free (not tested on animals). 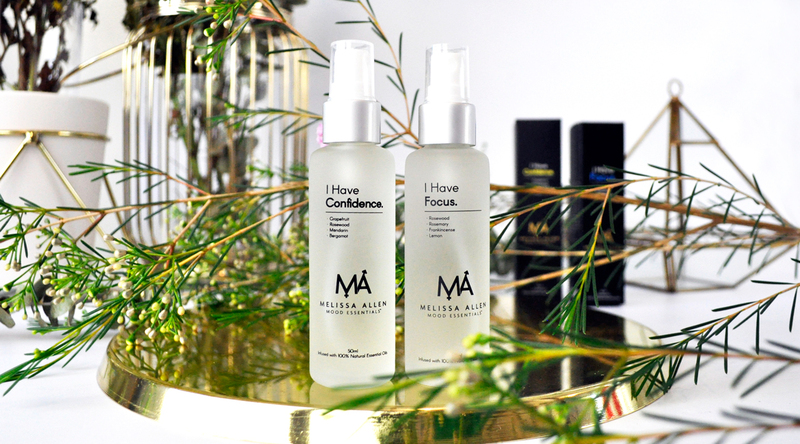 Price: Melissa Allen Mood Essentials™ I Have Focus | 50ml | RRP $39.95 AUD – Melissa Allen Mood Essentials™ I Have Confidence | 50ml | RRP $39.95 AUD | Both fragrances are available in 7ml bottles (They are the perfect size for your handbag or for travel) | RRP $15.95 | Shop at www.mamessentials.com for more wonderful fragrances. What do you think of these feel-good fragrances? Do you like to harness the healing benefits of essential oils? Let me know in the comments below. These sound amazing and great prices too! I’ve seen these popping up everywhere! They sound so lovely! These sound amazing, I really like the concept and idea behind the feel good fragrances and actually I do have one from Shiseido, everytime I rub it on my wrist, I feel so relaxing. Will check these out. I Have Confidence sounds perfect for me! I looooove the scent of Bergamot so much! I love fragrances and ones that make you feel good are even better! I agree, they are pretty amazing! Ooh these sound absolutely divine. I love the idea of a scent that makes you feel a certain way! Me too! I think it’s such a clever concept. Okay well I for sure need the Focus one – these sound perfect! I need all the focus I can get 🙂 lol I love this fragrance!